Because the con is spread out over such a large area, it's easily the most confusing and potentially stressful event you'll ever attend. First years are guaranteed to be lost a lot of the time, as it can take 2 or 3 years to really get the lay of the land. The good news is most Star Trek stuff happens in one hotel, most Star Wars stuff another, etc., so if you're only interested in, say, Steampunk, then you won't have to travel around nearly as much. These areas of interest are called "tracks," and everything is listed by track in the DC guides. 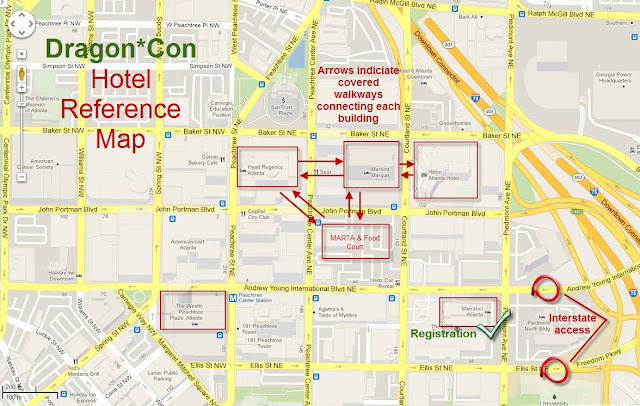 Once you have a tentative schedule figured out, watch the Dragon Con Twitter account (or the official app) for updates and cancellations. At the con itself, scheduling changes will be announced online, on the app, and on the DC programming that airs on all the host hotel TVs. There are several handy overhead bridges connecting 3 of the 5 hotels (plus the food court area) which allow you to stay in the relatively cool air and avoid trekking up and down the outside hills. These bridges are a life-saver in the Hotlanta heat, so use them whenever possible! Refer to that map I posted above to see which hotels are connected to which. If you have severe crowd anxiety, I'll be blunt: DC is not the con for you. However, for those like me who "only" have run-of-the-mill panic and anxiety issues, this convention is totally do-able. Bring your meds, pay attention to your food & rest needs, have a buddy with you at all times, and take lots of sit-down breaks as far from the crowds as possible. Earplugs and sunglasses can also be a big help for over-stimulation - and of course have your phone on hand for a quick distraction. - The bottom floor of the Hyatt (keep taking the escalators down) has lots of small panel rooms and corridors. The rooms will be full, but the hallways will be relatively crowd-free, and are a nice spot to sit. 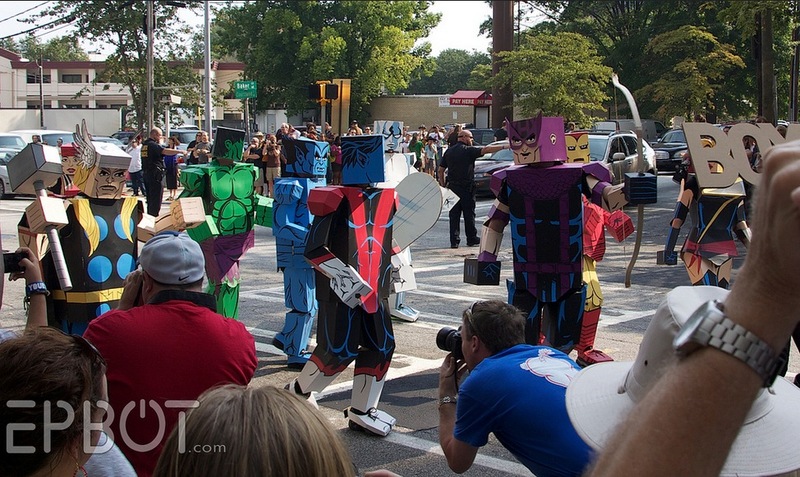 The Dragon Con parade takes place on Saturday morning, and boasts over 3,000 participants. That's right, 3,000 people just IN the parade itself. I don't have the numbers for the viewers, but I think it's roughly "the entire population of Atlanta." Silver Lining: the parade is broadcast on all the host hotel room TVs. So if you have a friend with a room, go there instead, and enjoy the AC! If you do skip the parade, note that police shut down almost all of the streets in the immediate area, so you won't be able to get anywhere NEAR the convention (or the parking garages) until the parade crowds have cleared. I usually sleep in that morning, and we drive in around noon. Quick Tip: Strapped for cash but need something to nosh? Then head to the ConSuite in the Hyatt, rooms 223 & 226. They'll have sodas, snacks, and various food stuffs available - all free - every day of the con. Be prepared to wait, though, as there WILL be lines. I know I already mentioned packing snacks, but I can't over-emphasize the importance of having something to eat on you at all times. Our first year at DC we didn't get a lunch break all four days - we just wolfed down bars and trail mix in line. Your only real down time will be in lines or while waiting for a panel to start, so those are the most efficient times to eat. If you don't eat, you'll get tired, cranky, and start to wonder who thought this stupid convention thing was a good idea in the first place. Trust me, I've been there. PS - Want to find me and John at DC to say hi? Then send me a friend request on the official DC app; you'll be able to see my schedule for easier stalking, and even send me messages to co-ordinate a meetup. (Note that my schedule is subject to change, and is more like a wish list of where I *might* be, so it's better to message me, just to be safe.) Just search for my name, Jen Yates, in the app. My profile is public, so anyone can send the request! Did you write this post just for me? It feels like you did. I was going to go back and print out your old DC survival post, but I think this pretty much covers what I wanted to print out. :) This will be my first year at DC and I'm uber excited/slightly freaked out. I have a couple questions I'm hoping you or someone else can/will answer for me. Do they clear out the panel rooms between each panel? And I seem to recall hearing that they only let you start lining up for a panel an hour early. Is that true? Have you ever used the con shuttle system? I'm not staying at one of the host hotels, but the shuttle does go to the hotel that I'm at and I'm wondering how it works. Thanks so much! I'm totally going to be downloading that app and friending you so I can finally meet you guys! Yay, glad this is helpful, Laura! Let's see: yes, they clear rooms between panels, but I'm not sure on the lining up thing. I do know DC is not at all like SDCC for queues; there are no camp-outs or day-long lines. Mostly because there just isn't *room* for them. The staff does prevent people from lining up for each panel too early - how early that is seems to be up to the staff in question, but "an hour before" is a pretty good rule of thumb. 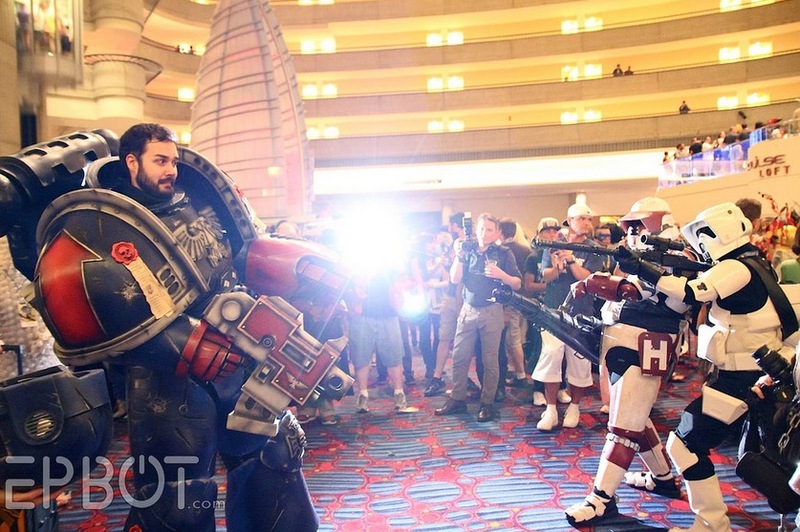 For the really big panels, count on lots of people "casually hanging around but not in line." Smaller tracks, like SkepTrack, you're generally good 30 minutes before - but they have smaller rooms, too, so you can get bitten that way. The only "con shuttle" system I know about is the shuttle buses run by each individual overflow hotel. Our experience our first year was that the line for the shuttle bus (looked to be about two busloads worth) was one more annoyance we didn't want to deal with, so we drove over and paid to park like Jen said. Besides, if you don't drive over, you'll have to take the shuttle BACK that night, when you're exhausted. Wheelchair Seating; for our wheeled folk, of course. Chair in Line / End of Row Accommodations; for non-wheeled folks with mobility impairments. Proximity / 50 ft. to Screen; for visual/lip-reading access. Sightlines; for access to the interpreter, safe space for working animals, and other unique situations. PCA/PCA Required; for conmembers with significant disabilities who require ongoing assistance with personal or medical care. Jen, your guide didn't cover much about staying in the host hotels. Let me share my extensive expertise, based on my one year at the Marriott. Yes, it's ridiculously hard to book the room in the first place - the reservations open up on various days around October (yes, 11 months before Con), and each one sells out in less than half an hour. Yes, it's horribly expensive. Yes, the amenities are worse than you'll find at a cheap motel along the interstate - no fridge, no complimentary breakfast, no free Internet, etc. But it has two huge advantages - no drive to or from the Con, and DragonConTV. Since there's no drive, you can easily retreat to your room to change clothes, eat lunch, or take a mid-day nap. And DragonConTV in the host hotels includes not only all of the skits and funny runners you see on the viewscreens before each panel, it also includes broadcasts of some of the more popular panels - sometimes live, sometimes hours later. So, like the parade, you might be able to get a semblance of the live experience while relaxing in your room. So far as I know, those recordings are never shown elsewhere, darn it - they'd be really popular on YouTube, but there's probably rights issues to prevent that. The biggest problem with staying in the Marriott is getting to and up the elevators - they're located right in the middle of the lobby floors, so getting to them requires navigating the dense crowds. And they are always jam-packed in the evenings, so you may have to wait through several runs just to get on one. I haven't tried the other hotels, so I don't know if they're better. Thanks Jen! Very kind of you. Not going to a con, but these are great tips for any activity with crowds. The DCon schedule is the same for all tracks and all panels-- there's an hour where all panels are in session, then a half-hour "passing period," then another hour panel, then another passing period, repeat until Labor Day. 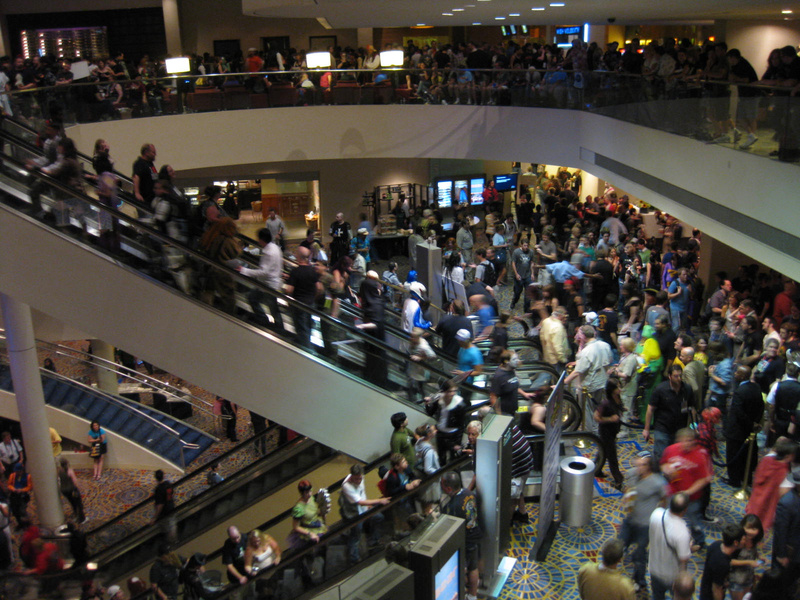 The crowds during the passing periods are *insane* and the skybridges often become completely impassible (I had a near-freakout in the very narrow Marriott-Hilton one once). The crowds are much calmer when panels are in session. So whenever possible, I try to schedule my travel between locations so that it's *not* during a passing period. Yeah, that means traveling during panels, so you don't get to see as many panel-y things. But for me, it's worth not having to fight the passing-period crowds. Also, if you must travel during a passing period, it's often easier to just go outside on the sidewalks. I know, I know, it's hot as hell, but if you've gotta get somewhere in a hurry, the sidewalks work well. 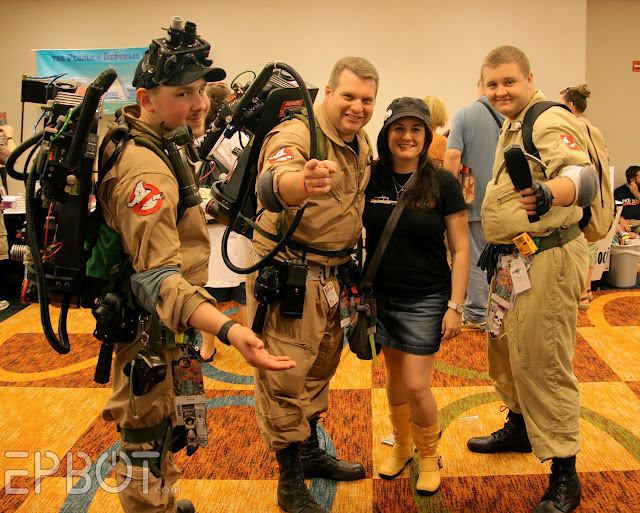 I do have crowd anxiety, so when I go to big cons, I never go on Saturdays (which is always the "big reveal" day and has the most people). I also clock which areas have a lot of empty space or secluded niches where I can go and sit for a few minutes if it gets too much, and I plan for only short bursts on the vendor floor, because that's where the crowds are the worst. Now that my uncle is moving to Atlanta, I might have to seriously consider going to Dragon Con next year since I'll have free lodging! That being said, I have heard they are moving the blood drive down to this location as well this year, so hopefully the related crowds for this don't ruin my statement! I hadn't heard of the game rental thing; that sounds awesome! If they're open late, it'd be a nice way to unwind in the evening with friends. 1) Bring a refillable water bottle. The host hotels have ice water all around the con. You can fill your bottle up for free. Bring those powdered or concentrated flavor packets to give the water a boost. Drinks in the hotels and even the food court are expensive. You will be hot and get dehydrated. Don't do it. 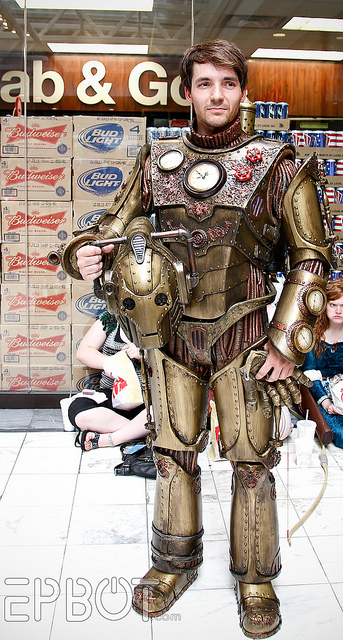 That's awful way to spend the con. 2) Watch out where you try to catch a cat nap. The hotels are strident in preventing that in the main areas. With various success, I've napped in empty track rooms, under a water table, in the bottom most hallways, and once I fell asleep on the elevator going up to my room. I've been chased off of benches in the Marriott while wide awake after about 10 min when I was sitting & reading. 3) Speaking of elevators, the traffic on them is horrendous by Friday afternoon until Sunday afternoon. I take the stairs for anything less then 4 flights up or down. If you just can't bare the thought of taking the stairs get on the elevator when the door opens and there is room. D*Con vets call it "going down to go up" or "going up to go down" depending on where you are going. While they are awful crowded, I'm proud to say that folks in wheel chairs, with baby strollers, or on crutches or other walking device are given preferential treatment by other con goers. Marriott and Hyatt are by far the worst to get an elevator in and the Sharadon is actually pretty easy. The Hilton really depends on the time of day. Also be sure you are on the correct elevator. Some of them don't even go to all floors or are put on express mode, I'm looking at you Hilton and your Trader Vic's/Nicholi's Roof elevator. 4) Ride the elevator (if you can get on) to the top floor and look down the middle of the 3 main hotels. The view is amazing and vertigo inducing with out even looking out over the city, also amazing. Jen - I've requested a friend in the APP since I don't tweet and have been trying to find you since you started attending. I'd love to meet up with you. Avoid the stairs if at all possible. All manner of drink and food get spilled on them, and they are rarely cleaned. You could end up stuck there until the next con. The only stairs that I've found to be sticky are the ones by the Con-suite. They can get pretty gnarly. Otherwise I've never had an issue. One more thing I forgot...before taking pictures, ask the person if it's ok to do so. 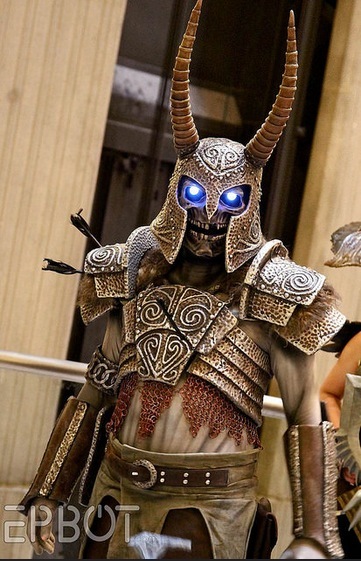 Also (and I shouldn't even have to mention this), it's ok to compliment someone on their costume, but BE POLITE. Great advice all around, especially about only planning to attend 3-4 panels a day. The biggest thing for us is to relax and not be in a hurry, and having a schedule that's not ridiculous really helps. If you're stressed about getting somewhere quickly (which is pretty much impossible, anyway), you're not going to have as much fun. 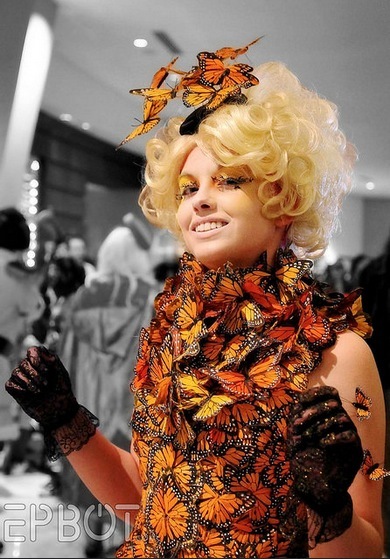 My only additional advice: If you're wearing costumes, make a detailed checklist for each costume. Include even the little things, like any particular undergarments you need, special make-up, adhesives, etc. 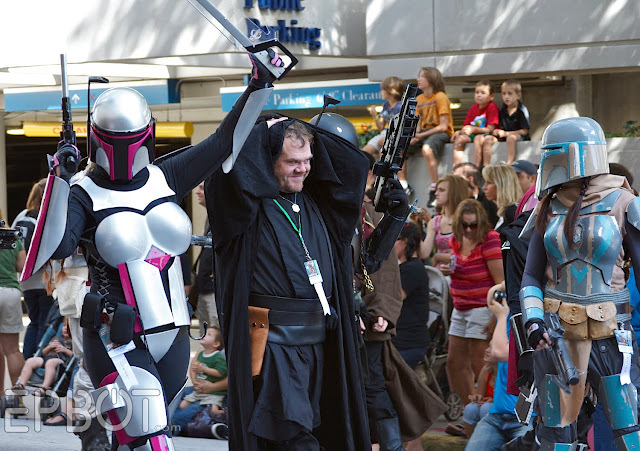 Before you leave for DragonCon, make sure you've packed everything on your checklists. Then, before you walk out of your hotel room, look at the list again to make sure you haven't forgotten something. I'm not able to attend DC, but wanted to thank you for your Con tips in general. 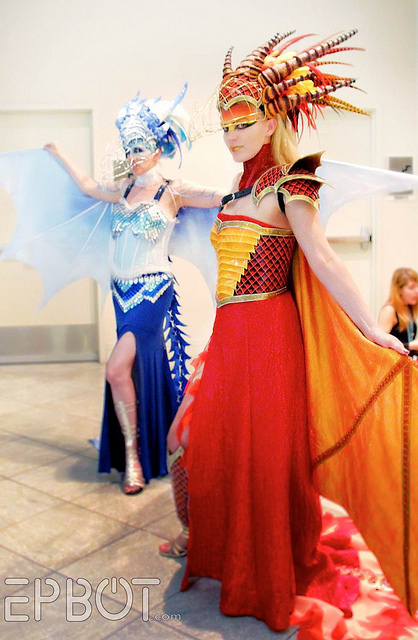 My SO and I were able to do our first Con recently and I really relied on your blog to have a plan! It was a great experience and we will hopefully be ready to attend something (bigger?) else in the future. Just wanted to add that leaving Con premises for a leisurely lunch at off-hours (2pm) made a huge difference for us... it gave us quiet time to just enjoy and process everything we'd seen! 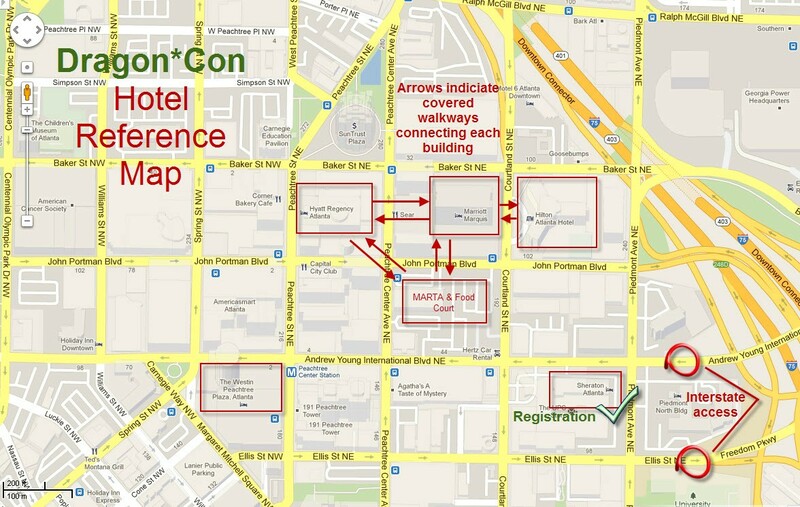 One more thing I found on the con app today is that if you are in Atlanta on Thursday, they have a walking tour that starts in the Marriot at 2:30 for newbies, so you can get a lay of the land before the madness of the con on Friday. And they have a panel after the tour hosted by some veteran con-goers where you can ask questions and get more tips and such. I think the tour will be very helpful to minimize the number of times we newbies will get lost! Now I'm glad that my flight in is so early! I was wondering what to do with my afternoon and evening in Atlanta, now I know! I LOVE DragonCon and can't wait until my kids are old enough so I can go back! I would recommend bringing some cash. Not all places take credit card (though most do now, from what I remember. When we first started going it was hit or miss if vendors took cards or not though), and the ATMs can run out partway through the weekend. If you can snag a room in a host hotel, DO IT! They're expensive, and reservations can sell out in minutes, but I find it to be so worth it. Being able to run back to your room to take a nap in the middle of the day is SO HELPFUL, especially for someone like me who gets tired easily. Plus it's nice to be able to go to your room for snacks, for some quiet time, to repair costumes, to change...plus DragonCon TV is fantastic. They'll often show some of the bigger panels, so if you don't want to wait in line to hopefully get in you can go back and watch from the comfort of your bed. Also, if you have friends going, have as many stay in one room as you can stand to split the cost. We've never had a problem requesting extra room keys and bedding, I'm sure they're used to that sort of thing even though you aren't *really* supposed to be doing that. One year we brought an air mattress and rolled to see who had to sleep on it every night, lol. My favorite hotels to stay at are the Sheraton and the Westin. The sky bridges (we called them the habitrails lol) are great - BUT they can get very crowded very quickly, and with that many people in them not really moving, it can get pretty toasty in there. Something to keep in mind if you don't deal with crowds or enclosed spaces well. Also, don't be afraid to poke your head into random panels. Sometimes they can end up being AWESOME. We were looking for something to do, and since we spent a lot of our time where the MMO track was, we ended up in an AdventureQuest panel put on by the people who make the game. We'd never played the game, only vaguely heard of it, and it ended up being a ridiculously fun panel, one of our favorites of the weekend! So, while the skybridges connecting the hotels are fine if you want to avoid the heat, they can be incredibly crowded and are not necessarily the most efficient way of getting from hotel to hotel. If you don't mind being outside for a bit (anywhere from five to fifteen minutes depending on where Point A and Point B are in relation to each other) just walk around outside. Downtown Atlanta is a grid system so you won't get lost, and you won't have to deal with the periodic full-on-stops that can sometimes happen in the hotel sky bridges. Unless it is raining, my husband and I usually walk around outside to get to where we need to go more quickly. One other point: most of the time walking around downtown Atlanta alone is 100% safe but I'd say just don't do it post-midnight (especially if you are a female). 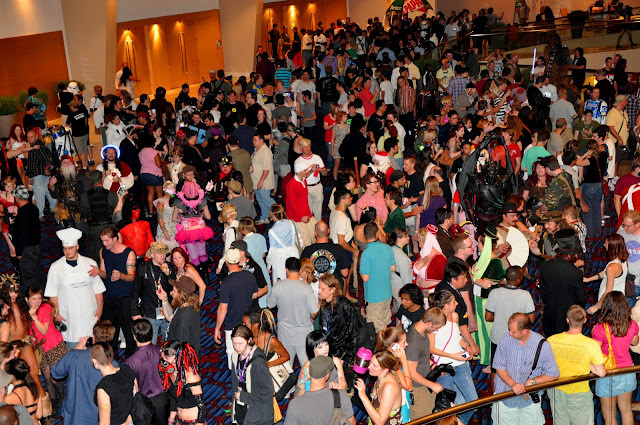 Odds are you will be heading somewhere late at night so bring a friend and/or join up with a group of Dragon Con goers and you should be fine. 1) Try to pre-buy your booze if you plan on drinking. Of course you will probably be buying drinks at hotel bars, but having some stuff in the room to pre-party or to fill a flask (if that is your thing) certainly doesn't hurt. There are some liquor stores around the hotels but they will have a huge up charge during Dragon Con, so if you want to drink and save some money, get your alcohol ahead of time. 2) Get cash BEFORE the convention, preferably before you even get to Atlanta. All the ATMs in the areas surrounding the hotels will be wiped out by Saturday night, due to high demand. 3) Try not to be rude about holding a seat for too long in not-lounging areas. I'm thinking primarily food-court type areas. Last year at the Peachtree Center Food Court there were a ton of people who were clinging to tables, knitting and/or playing video games at them, long after they were done eating--while all around them people with food trays were searching for a place to sit and eat. Don't be those rude people--when you are done eating, up and leave. There are plenty of places around the convention (mention above in Jen's post) where you can sit and relax at your leisure without putting other people out. That's all. We can't go this year, which is a bummer, but hope everyone has lots of fun! Jen, someday, I will go to DC, and I will use this guide to its fullest to get me there and through it all (I have severe anxiety issues along with other co-morbid disorders). All I need is some money and some free time. And fewer disorders. I somehow don't think I'm getting any of that. But one can dream. Plus, I can live vicariously through all of the lovely photos you post each year. Not only are there some fantastic, mind-blowing, beautiful, and imaginative costumes, you always take it a step further to make the photos themselves look spectacular. Thank you for being my con avatar. MARTA is great, you can even get there from the airport. A very straight forward system. Tip: Keep your smartphone put away while you're in line for panels. Seriously, you're surrounded by people who share at least one interest of yours and who love it enough to show up early like you--so keep your phone in your pocket and strike up a conversation! 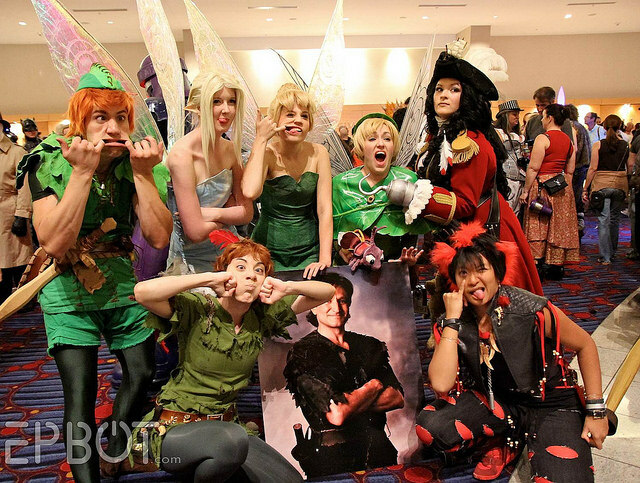 Some of my favorite hours have been spend in line with fellow fans (Whedonverse rocks at this!) --as well as some of my most boring, while my linemates played Candy Crush and checked Facebook for an hour and half. Hi Jen! Although I'm not going to Dragon*Con, I think your tips can still apply to other cons! I agree about bringing snacks to munch on between meals, since typical con food can be expensive and there are often no healthy options available. I will also keep your typical con outfit in mind for the next time I go to a con in plainclothes rather than cosplay. Good point about using shorts to make it more comfortable sitting on the ground! I also like the idea of bringing some portable game to pass the time while waiting in those long lines. I've been following Cake Wrecks for years and I've only just recently started peeking over at Epbot... so I was flabbergasted to see a DragonCon Survival Tips banner on Cake Wrecks one week before my first trip to DCon! I clicked immediately! Some of this information is already known to me, especially after having been to MOST of SDCC once a couple of years ago (I had Con Crud on the last day, ugh), but I can tell some of this is going to be extremely helpful, thank you so much for posting it! My eyes are always bigger than my "stomach"/schedule where panels are concerned, so I will need to try to rein myself in. I'm glad I pretty much already decided not to try to attend the parade on Saturday morning! Well, I've told my boyfriend to add you in the DC app, so hopefully we will be able to see you there! Maybe we will even see you on Saturday when we are dressed up as Yennefer and Geralt (haha, I won't hold my breath, Saturdays are crazy at ANY con)! I hope you guys enjoy yourselves!! !